I’ve been hearing alot of chatter about BB creams lately and did a little research to find out what it is exactly and why they’ve been all the rage lately. Westerners are late on this trend because BB creams (also known as blemish/beauty balms) have been an obsession in East and Southeast Asia for years. BB creams seem to be moisturizers on steroids, in addition to evening skin tone they also provide SPF, reduce redness and spots, and help fade fine lines. They can be translucent but many that are hitting the market are now tinted. So if your skin is relatively clear or you only want light coverage, this may be the cream for you. They usually are only offered in one or two shades at most and somehow work for all skin tones. Can one cream really be so magical and do so many things? Well I don’t know yet, I’m kind of skeptic but most of the reviews I’ve read have been positive. It seems like every brand under the sun is releasing their own BB cream to cash in on the craze. 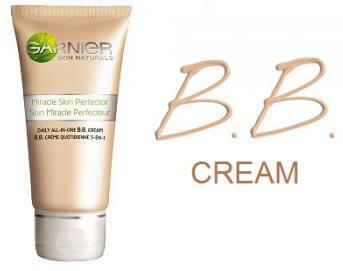 The biggest bang for you buck and the most hyped has been the BB cream by Garnier. This will probably be the one I try, I’m not prepared to spend big money until I know it works. If you are fancier than me and you probably are Clinique, Diorshow. Smashbox, and Boscia are just a few brands that now offer their own BB creams. I just don’t get how two shades can work for every skin tone. I will be buying the shade for darker complexions and I’m a deep tan at best so how can something that matches my skin tone work on someone much darker? My mind is blown by trying to figure this stuff out, so I’ll leave it to the experts. Have you tried BB creams yet? If so, which brand and is this a must try? I personally love the Garnier BB cream but I also love Aveeno’s positively radiant, not a BB cream but an awesome tinted moisturiser. Thanks Lalalinee, I’m going to try it out this weekend. It might be a good companion to my purminerals powder. yep i do that too, put on the BB cream and set with a powder. Love it. I hope you love it as much as I do.